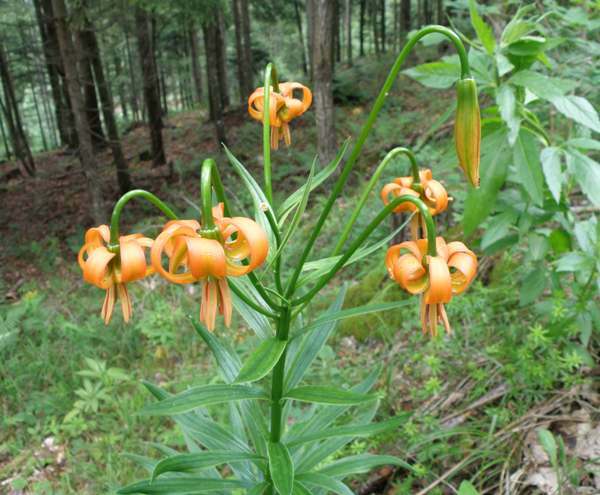 The Carnic Lily is known as a naturalised garden escape in parts of northern Europe, but in the wild it is confined to the south-eastern mountains of Europe. It grows in parts of Russia and in Italy, Slovenia and Austria. 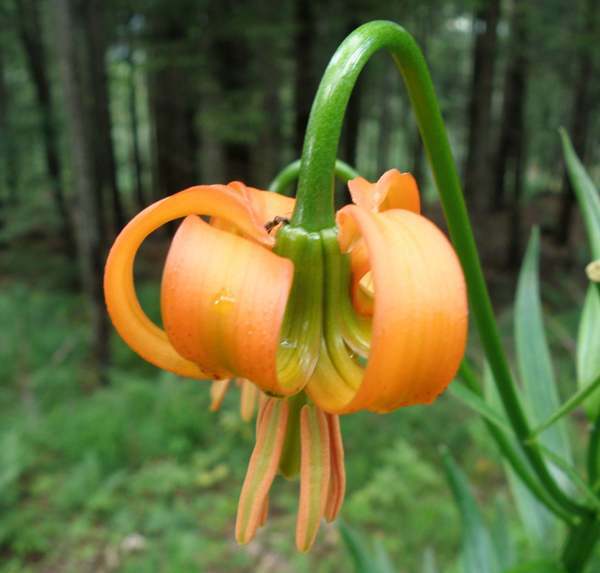 Like the Martagon Lily, Carnic Lily grows up to a metre in height and is found in Alpine meadows and in scrubby areas. This lily blooms from June to August. The specimens shown on this page were photographed in Slovenia in late June.